I'm linking up with Bri at Work Clothes I Suppose for Third Thursday Threads (and Tara at Mix and Match Fashion for Summer Style, and Vodka Infused Lemonade). The theme this month is stripes! I'm down with stripes. I don't own too many striped things, but I remembered I had this dress tucked away under my futon (where clothes go to die, unfortunately) and thought it was the perfect time to bust it out again. I wore this to run some errands on Sunday: took my dog Wednesday to the park, went to the bank and the grocery store. How do you wear your stripes? 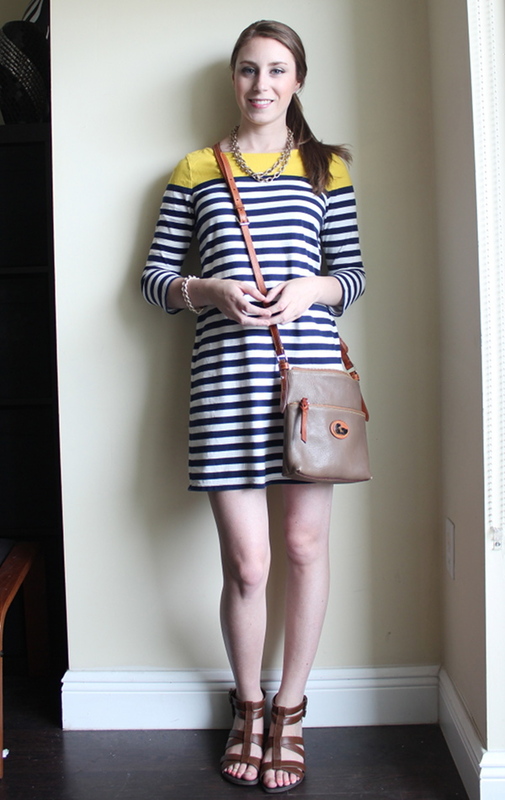 I love this dress, so cute with the stripes and colorblocking!